I read a lot. I pretty much always have a book on me or nearby just in case. 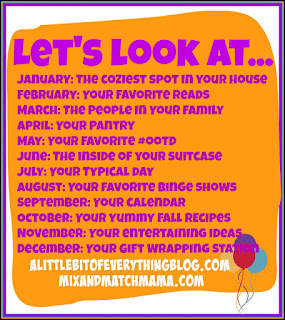 So when I saw that this month's Let's Look At link party was all about our favorite reads I was so excited. 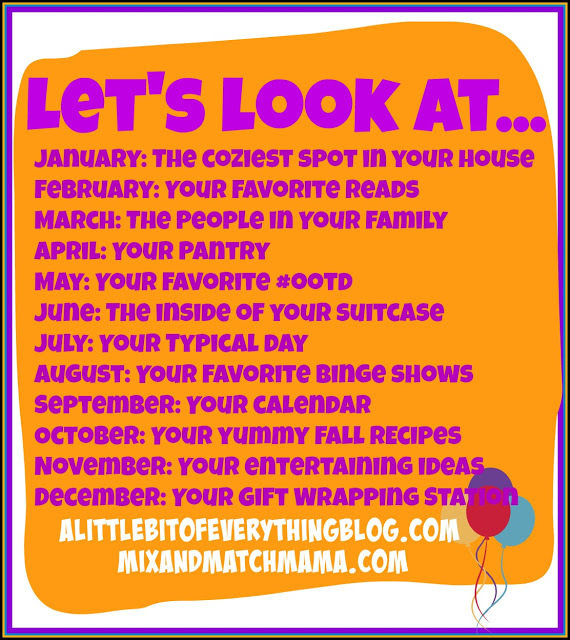 Not only would I get to talk about the books I love but I'd get to find lots of great book suggestions to add to my "want to read" list! 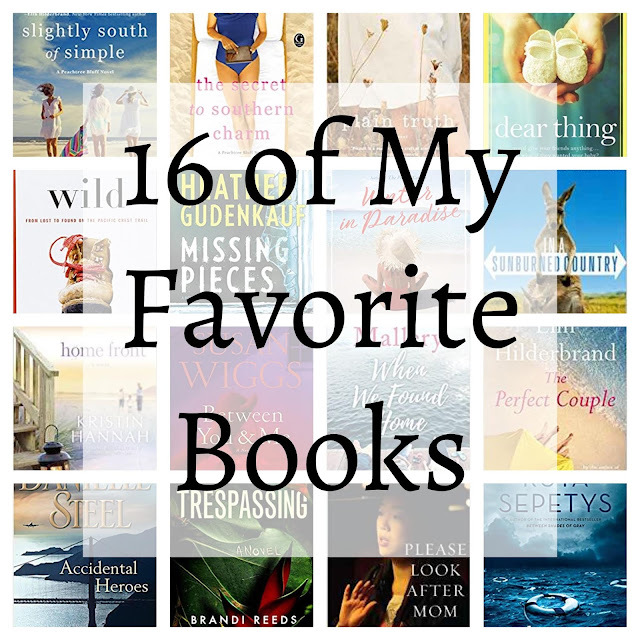 I have compiled a few favorite books lists in the past; this one is a list of some of my all time favorite books (you know those books that you read over and over again or those authors that you can not wait to read a new book from?). This list that I wrote last summer listed my 10 favorite books I had read that year up to that point. Not wanting to repeat any of those books I decided to share my favorite books that I've read in the past 6 months. 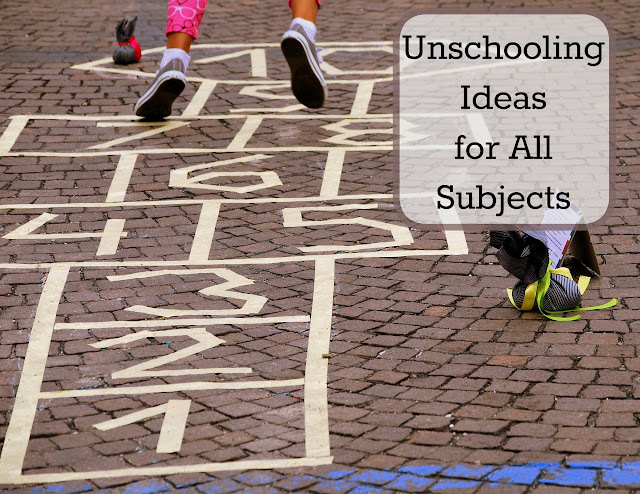 Having read more than 80 books last year that still leaves plenty of books to talk about! In order for a book to make my list it had to be one that really stood out in my mind after I was done reading it. 1. Salt to the Sea by Rupta Sepetys-- I read two books by Rupta last year and they both really resonated with me since they dealt with stories about World War II that I had never known anything about! 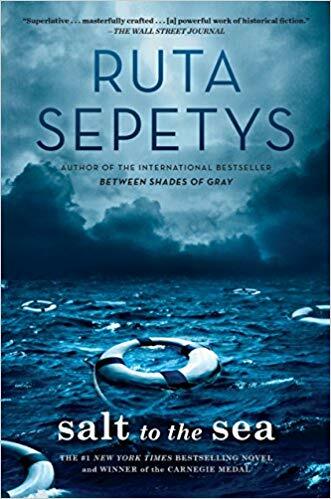 In this book told in alternating voices we learn of what it was like to flee East Prussia as the war is drawing to a close. 2. 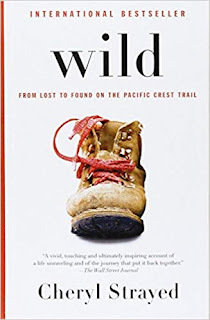 Wild: From Lost to Found on the Pacific Crest Trail-- I had just finished A Walk in the Woods when someone recommended this book to me. While a bit darker I did love hearing about what it was like to walk such a long hike as a woman alone in the woods. I often find solace in the woods and she used the time to heal old wounds but I can not imagine hiking by myself in the wilderness. 3. 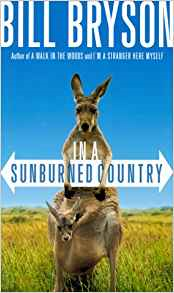 In a Sunburned Country-- Another book I picked up after reading A Walk in the Woods. I enjoyed Bill Bryson's sense of humor and heard this was another fun book to read. All about his travels through Australia I often laughed out loud at his antics and read quite a few parts aloud to my family. 4. 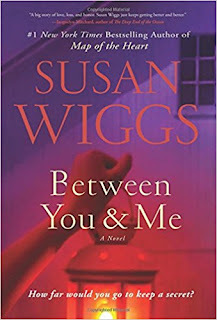 The Perfect Couple-- I love Elin's books and this one had a little murder mystery twist to it that I just loved. Set on Nantucket, on the morning of the wedding the maid of honor is found floating dead in the harbor and everyone in the wedding party is now a suspect. It was a fun page turner. 5. Dear Thing-- I read this book on vacation last fall and it really stuck with me. 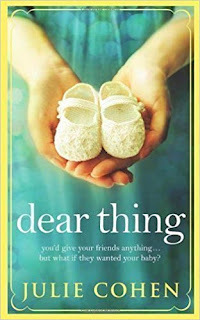 Claire and Ben have been trying to have a baby for years when Ben's best friend Romily offers to be a surrogate for them. At first they all think it will be the perfect arrangement but the pregnancy brings up all sorts of feeling of jealousy, inadequacy, and love that leave these three reeling. 6. 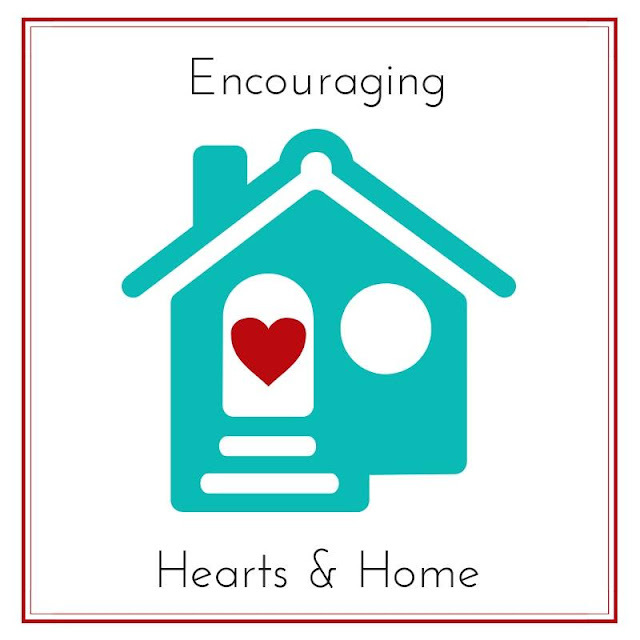 When We Found Home-- I just love stories that deal with family dynamics and family relationships. In this book three half- siblings are brought together by their grandfather and they must learn to communicate, trust, and look out for one another. 7. Accidental Heroes-- Danielle Steel has been writing up a storm lately and while I enjoy them all this book was gripping. When a TSA agent in New York finds a postcard left at the security check point she can't help but wonder if it's some sort of veiled threat dealing with the Golden Gate Bridge. What starts off as an ordinary day for everyone soon turns to a race against the clock to bring down the plane and all the passengers safely. 8. 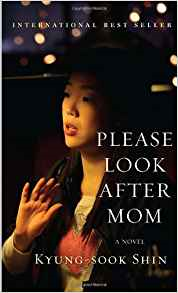 Please Look After Mom-- This story, told through the voices of multiple family members, was deeply moving. When their mother (and wife) go missing at busy Seoul Station one family is left looking for her, struggling with memories of how she helped them and how they treated her. With glimpses of both rural and urban live in Korea I found it fascinating; plus I really wanted to know what happened to Mom. 9. 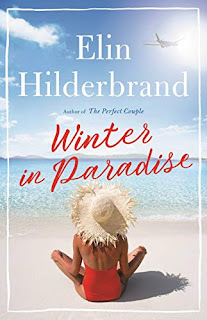 Winter in Paradise-- Another book by Elin, but this one takes place in the Virgin Islands! It was such a nice change of pace to read about a whole new island. It didn't hurt that we spent a bit of time on Saint Thomas for our honeymoon and I fell in love with the beautiful island and region. This story takes place on St. John and when news of their husband/father's death brings one family to the island they learn he's been living a double and secret life. It's the first book in what is supposed to be a 3 part series and I can not wait for book 2 to be released. 10. Between You and Me-- Having grown up taking many family vacations in the Lancaster area of Pennsylvania the Amish families and way of life has always fascinated me. This book takes us into the heart of an Amish community. When one boy is injured in a farming accident on his family's Amish farm he is taken to a hospital by his Uncle Caleb where the family meets Dr. Reese Powers. Drawn together Caleb and Reese work to help the poor boy but it's not he Amish way to rely on technology, advanced medicine, and outsiders... and Caleb's family is drawn into a battle with his father and the old ways. 11. Plain Truth-- When a newborn baby is found dead in an Amish barn the daughter of the house is accused of murder. Katie is only released on bail on the condition that Ellie, her lawyer, takes her into custody. Ellie finds herself living with Katie and her family on their Amish farm learning their Plain ways while trying to come up with a defense that will not land Katie in jail. But trying to piece together what actually happened becomes next to impossible as Katie insists she was never pregnant and never had a baby. 12. 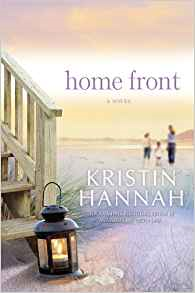 Home Front-- This story made me cry. 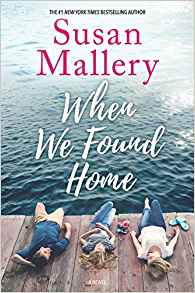 When Jolene unexpectedly gets deployed, her crumbling marriage looks as though it is going to completely come tumbling down. 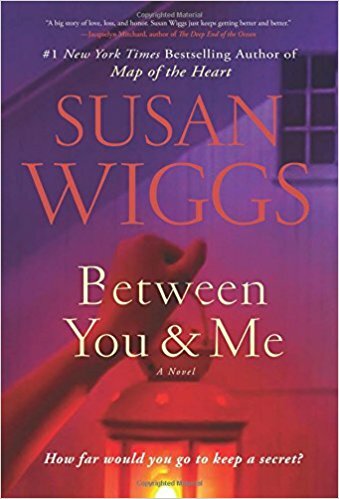 It's not until her husband, a defense attorney, takes on a PTSD case that he realizes what his wife is dealing with situated in the middle of a war zone. When her plane is shot down and she's injured they both must decide if what they have built together is worth fighting for. 13 & 14. 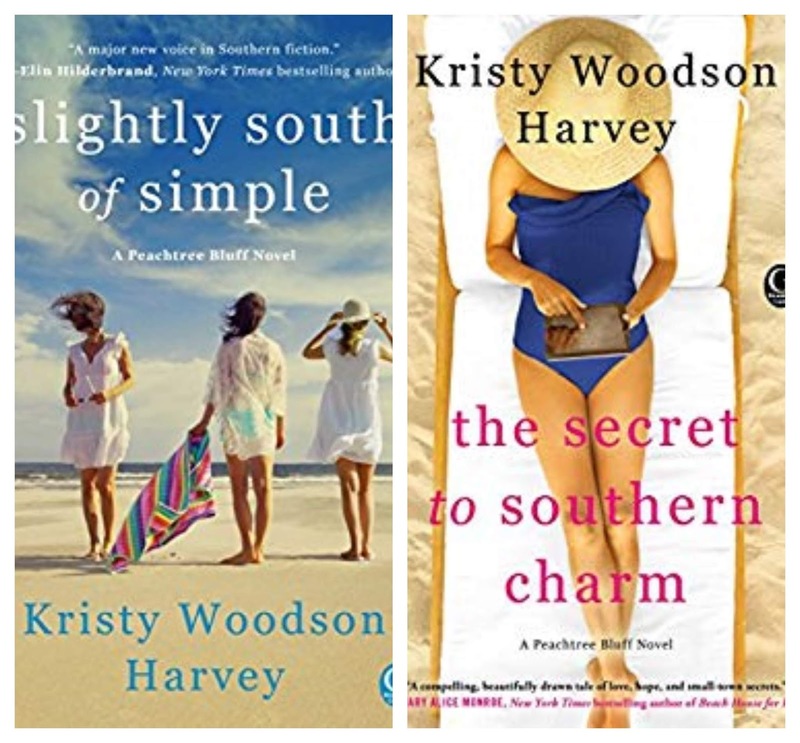 Slightly South of Simple and The Secret to Southern Charm-- I lumped these two together because they are books 1 & 2 in the Peachtree Bluff series (book 3 comes out in May!). This family of sisters bans together with their mother in the town of Peachtree bluff as all of their lives seem to be falling apart. 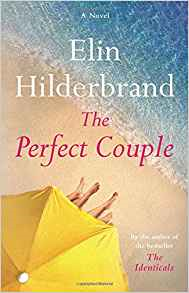 Their grandmother is injured and becoming slowly senile, the oldest sister's marriage is falling apart as her husband cheated on her, the middle sister has a husband overseas that goes missing, and the youngest is battling an illness no one knows about. 15. Trespassing-- A Kindle First book that I read in just one short day while on vacation. Veronica's mother suffered from mental illness and now Veronica is beginning to question her own sanity. 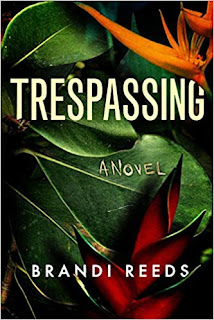 When her husband goes missing and her three year old daughter Elizabella insists that her daddy is now dead; able to tell details that no child should know, Veronica finds herself as the suspect in her husband's disappearance. 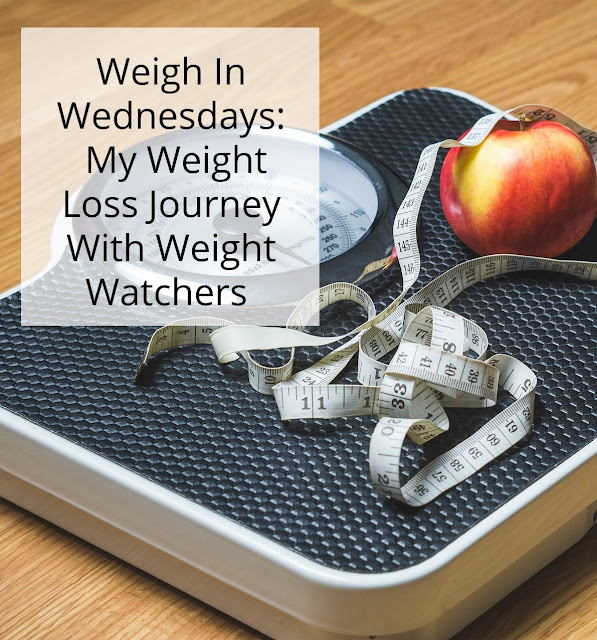 Lots of plot twists kept this story quite entertaining. 16. Missing Pieces-- Sarah's husband Jack never wants to talk about his childhood, his past, or his family. 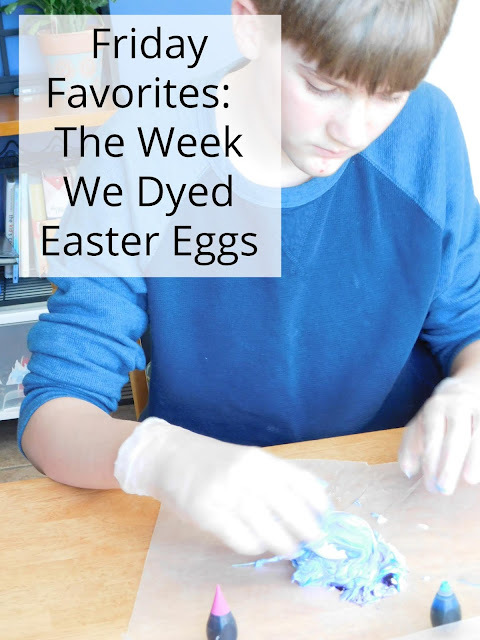 His mother's body was found in the basement of their home when Jack was just a teenager and so Sarah thinks she understands. 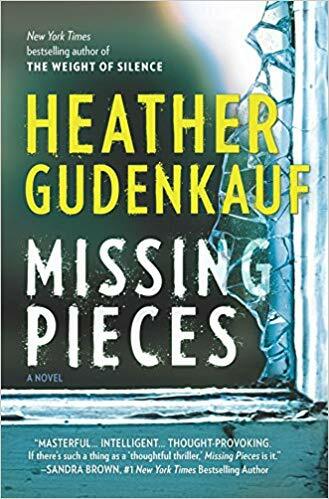 But when Jack and Sarah must travel back to his hometown and to his family home when his Aunt Julia is hospitalized Sarah starts trying to put the missing pieces together... A page turner for sure! 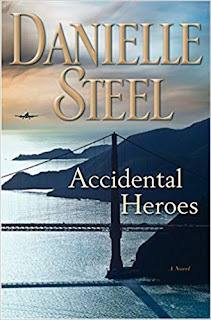 I grew up reading Danielle Steel, and to this day she still one of my favorites! You just gave me some great titles to add to my list! I did too! I can remember swapping books with my best friends during study hall and they were all Danielle Steel. I have read a few of these! 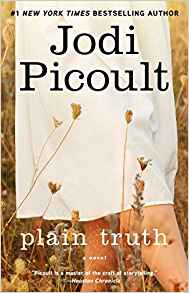 Plain Truth is one of my favorites by JP. I like Elin Hilderbrand but haven't read anything by her in awhile! I really liked Plain Truth a lot! I think by the end of the book I had everyone listed as a possible suspect. 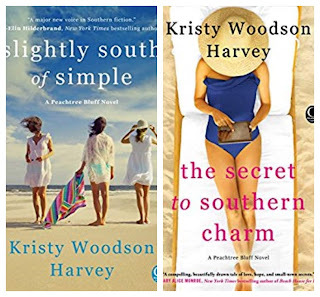 What a great list, I need to check out that trilogy from Kristy Woodson Harvey. I need to add more of these books to my never ending "to read" list. I know; my list is like a mile long.. and always growing! I love to read and usually have either my kindle or a book with me just in case. I'm always looking for something new to read. I get some free or discounted selections sent to me through bookbub.com every day. Sometimes they offer really good books. Thank you for sharing. I don't take nearly as much advantage of my Kindle as I should. I've had The Perfect Couple in my wish list for several months now... I'll probably save that one for our summer beach trip! 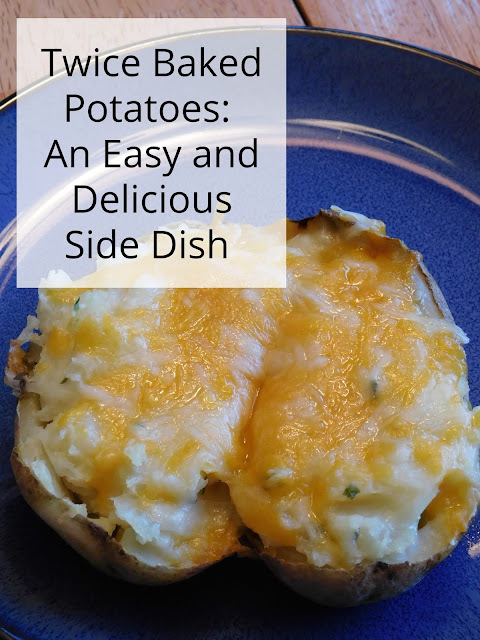 It would make a perfect summer beach book! I have SLightly South checked out from the library right now, and can't wait to start it! Love all these recommendations! Several of them I haven't read, but have read other books by the same author. Sounds like some great books here. I really need to start reading more. I really must start reading less! Ha! It's so easy to get lost in a good book and neglect the housework and such.